From our earliest beginnings, well before biblical times, man has looked to the heavens in awe and wonder. He imagined the sun, moon, and the stars to be divine. He was fascinated by the heavens and the cyclic motions of the celestial bodies. He marked the seasons and the passing of time by the positions of the stars in the night sky or, in general, the cycles of nature experienced by him. Over the centuries, this wonder evolved into the disciplines of cosmology, philosophy, and theology. …it is owing to their wonder that men both now begin and at first began to philosophize; they wondered originally at the obvious difficulties, then advanced little by little and state difficulties about the greater matters, e.g., about the phenomena of the moon and those of the sun and the stars, and about the origin of the universe1)(Aristotle n.d.) Book I, Part 1. Today, we know a great deal about the origin of the universe – even about the instant of its creation. But we know nothing about what caused the universe to come into being. For example, when a construction worker lights a fuse to a stick of dynamite, who lit the match that caused the subsequent explosion is not in question. But for the cosmos in which we live, the greatest question of all time was (and still is) who lit the metaphorical match that caused the universe to explode into being – and why? This question is one that science, by its very nature, is not equipped to answer. The ancient Hebrews, perhaps having sensed the limits of human empiricism, directed their cosmological reflections to the questions of who and why, not how or when. The Bible rightly leaves the latter to empirical studies and the workings of the scientific method. The former, however, inhabit the realm of metaphysics and theology and, ultimately, faith. In the first five verses of Genesis we encounter part of the answer to the question that is arguably the greatest of cosmic questions: What caused the universe to come into existence? Did the universe cause itself to exist? The mystery of creation’s cause, properly understood, cannot be answered empirically. Its solution will not be found in the texts, reports, studies, and symposia of contemporary theoretical physics. The answer of ultimate causality is, at its heart, a matter of faith because we cannot, as a matter of construction, determine what happened before time (and the universe) existed. Who, or what was the ultimate cause must be, and will forever remain, purely within the realm of faith. The people of the Abrahamic religious traditions believe the universe’s ultimate cause to be a transcendent, purposeful deity – a deity able to create a subordinate reality and populate that reality with cognizant, self-aware beings not unlike itself. At the same time, however, the ancient audiences upon hearing the creation account in its Hebraic expressions – its sing-song rhythm with its chiasms and poetic parallel-structure2)This structure, known as the Framework Interpretation among others depends on the observation that days 1, 2, and 3 (the first triad) and days 4, 5, and 6 (the second triad) are parallel. The details will be presented in the commentary. — to be something other than a straight forward historical narrative. This is important because it gives lie to the idea that the words of the first creation story are to be interpreted literally – as a narrative of how God created the world in seven, 24 hour days. What do I mean? For example, an author will often choose her words to meet a literary objective (e.g., allegory), not a literal one. In general, literary works are characterized by techniques that are able to convey meanings other than how the literal words are defined. For example, George Orwell’s book, Animal Farm, uses a barnyard motif with talking animals to paint a picture of Russian tyranny. 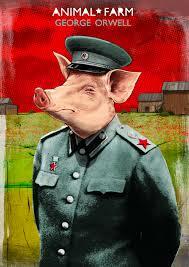 No one who reads Animal Farm thinks for a moment that the book is about how talking animals might rule each other. Animal farm is an allegory. The narrative symbolizes the Russian Revolution of 1917 and the early years of the Soviet Union. Animalism is really communism. Manor farm is allegorical of Russia, and the farmer Mr. Jones is the Russian Czar. Similarly, we will learn that the ancient author of the first creation story constructed a narrative whose metaphor describes the character of what became the God of the Hebrews, Christians, and Muslims. He must surely have taken great care to choose words and phrases, not only for their meaning but their fitness for whatever literary figure was in view. Being cognizant of a work’s literary form at the very least warns us away from literalism because words are chosen for reasons other than just their dictionary definitions. So it is with Genesis 1. In light of its literary structure the details of which we shall encounter in the text, Genesis 1 is seen to be about truths higher than the number of hours in a day, or when fish came into existence. Its exalted prose, its sense of poetry, and its steady, majestic cadence – the inexorable progression from first day to seventh – reveals a work of literary brilliance. Genesis 1 is a work of art whose author employed what was in his day, a set of well-understood literary techniques developed to obviate the difficulties of his primitive language – a language whose concrete structure largely precluded its use in describing physical reality in any way but abstractly. Ironically, the ability to detect figurative literature, much less understand it, has declined with the advent of post-modern enlightenment and its heavy emphasis on objective facts. Unfortunately, the assumption that most texts (biblical or otherwise) are first assumed to be fact-based, have led to the rise of literalism – a belief that the Genesis creation accounts are factually true. This would have astonished the divine authors of the Bible whose expressions are rife with the figurative tools of idiom, allegory, parallelism, and poetry. Genesis 1, read as an ancient Hebrew would have heard it recited, is a profoundly artistic, literary work whose deep truths are more easily comprehended because its author used figurative language. Read as a work of literary art, the story answers why we exist – an answer that cannot be answered by science (much less a scientific, literal reading of Genesis 1). More importantly, because its meanings are not tethered to a particular time or place, its truth claims can be divined by scientist and layman alike, atheist and believer, whether ancient or modern – everywhere, for all persons and for all time. 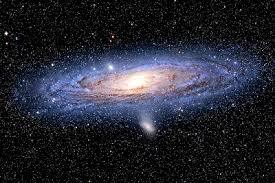 The creator of the universe is a transcendent, wholly alien, and otherworldly force. The heavens and the earth, as described in the first two verses of the Bible, had already been created by the time God arrived on the scene. God is shown as judgmental and purposeful. These three revelations set the stage for the narrative arc of the Bible – a discussion of the nature of God and His purpose in creation, the latter divined from the demands He makes of His creation. Moreover, God establishes the standards of right and wrong and sets mankind to the task of making those distinctions for the right ordering of God’s creation. God’s authority arises from His transcendent position relative to His creation. These are the three themes set for us by the divine author and that will guide us throughout this work. All in all, the theological, ethical, and moral significance of the Genesis creation story constitute a significant part of the bedrock theological support for all of the Judeo-Christian religious traditions. The significance of these verses is rooted in the picture of God as a transcendent creator who judges His creation. Let’s now turn to these three attributes of God: His transcendence, His creative power, and the nature of his judgments. 2. ↑ This structure, known as the Framework Interpretation among others depends on the observation that days 1, 2, and 3 (the first triad) and days 4, 5, and 6 (the second triad) are parallel. The details will be presented in the commentary. 3. ↑ ‘Elohim’ is a transcription, i.e., the pronounciation. Uncapitalized, elohim is the plural of el (god) meaning gods. When capitalized, Elohim is the name of the one god of the Jews, Muslims, and Christians. 4. ↑ It is critical that we not imagine God as a human. Of course, the ancient Hebrews certainly did, but mostly for metaphorical reasons. They saw God as the embodiment of creative and moral authority and so personified God as a father figure – the preeminent symbol of authority in their ancient tribal culture. An arguably better view because it avoids anthropomorphism is that God is an utterly alien, otherworldly entity who chooses to express and reveal himself to us in human terms – the only terms we are able to comprehend.